The Skillz PLUS Camp is for students 14-17 who have made the commitment to volleyball as one of their principal sports. The Skillz PLUS camp has been designed as a further bridge between our two day camps and the week long programmes we offer and will offer an insite into the training demands of a 5 day camp. 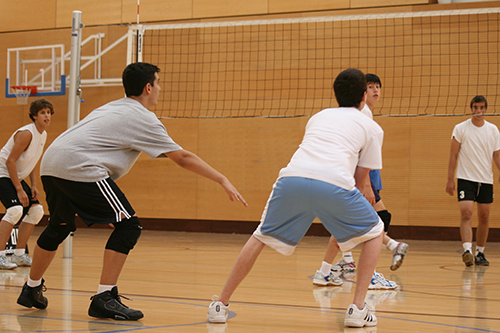 Athletes will have a stronger physical structure, know and can follow the principals of attack and defense, have begun to acquire a sense for the tactical game, and are already playing competitively for their school or club.The first three days consist of sessions running for 3 hours, while to last two days the sessions will be 5 hours per day. Though the drills may not be as complex as those performed by elite athletes, the training is no less intense. There is a strong emphasis on students learning self-discipline, communication and teamwork, a growing mastery of which is needed in order to progress to the next level of training.